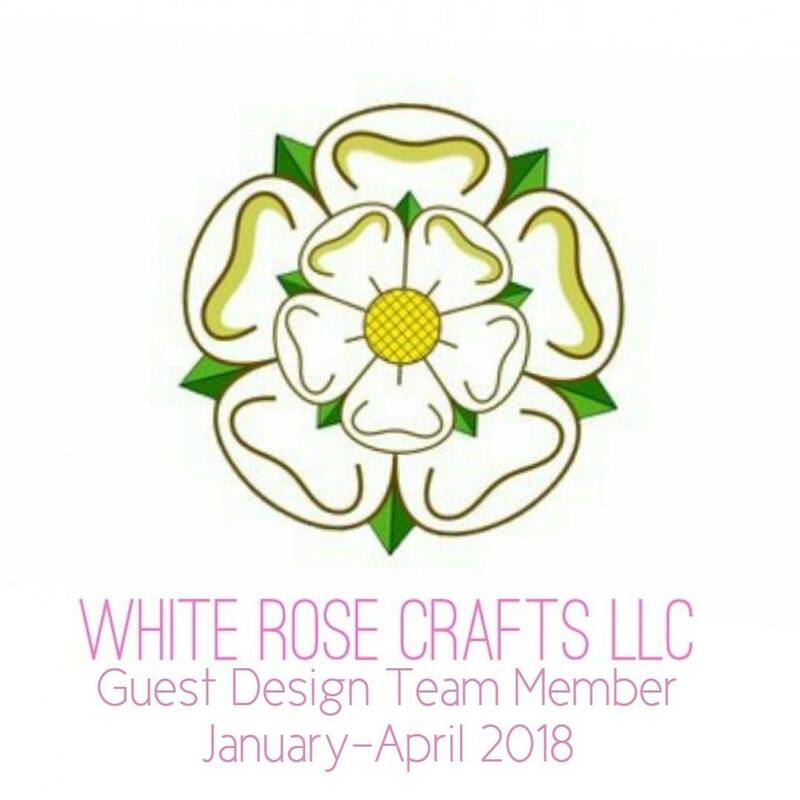 I am going to share two projects with you, because one just isn't enough. The first one I used the cute little baby in the umbrella along with the It's a Boy! The last 6 children born in our family have been boys, so this is only fitting. 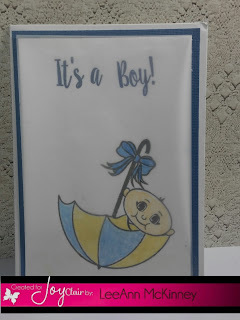 I colored the umbrella and baby with watercolor pencils and then covered the front with a sheet of velum. I really like this look on some cards, and for this one it seemed to fit. 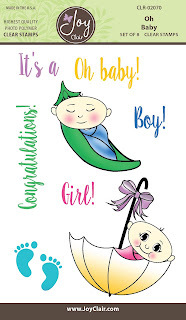 This one is just a cutie, little pea in the pod in my favorite color of green. 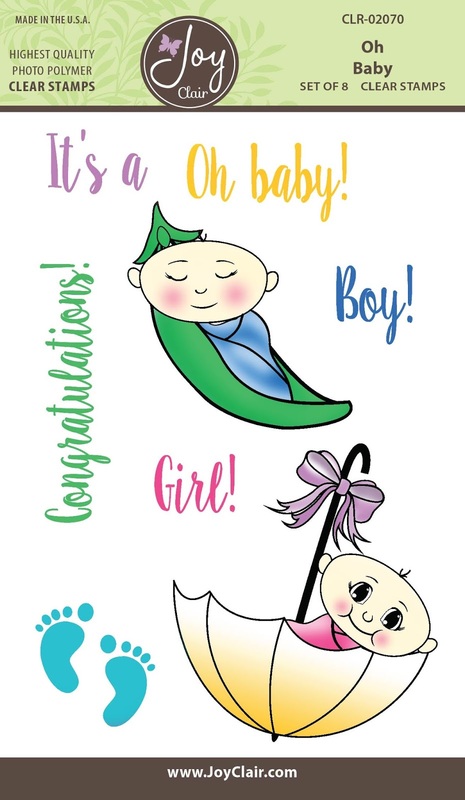 Figuring since it is a gender neutral color this one is perfect when you do not know what gender the child is going to be. Hard to believe some do not want to know ahead of time, but it does happen. This little cutie pea was colored with my Spectrum Noir alcohol markers. 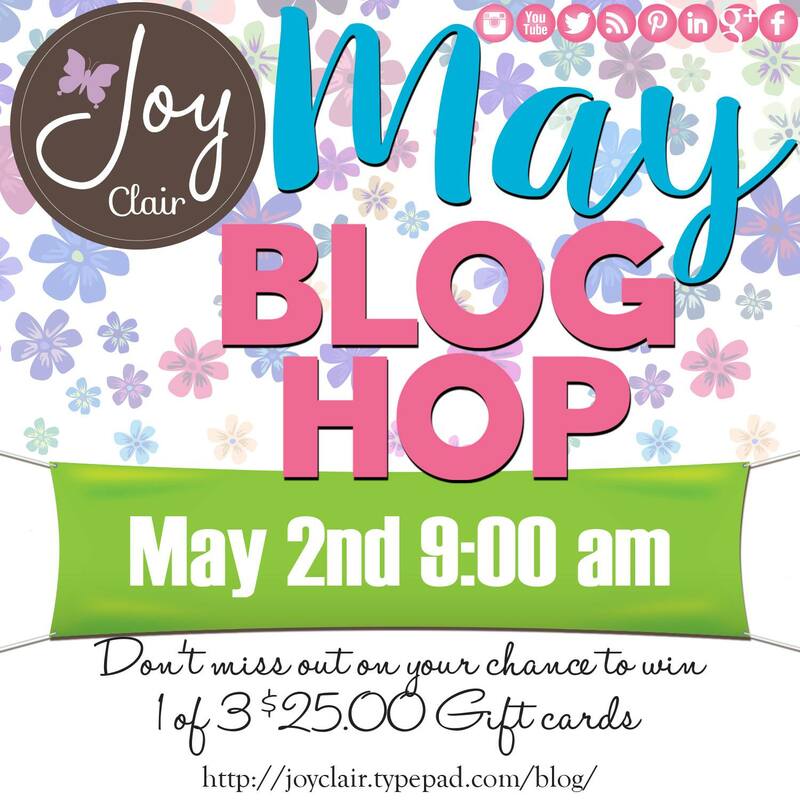 Please hop along and visit the rest of the design team members blogs, leave a comment on them all in order to enter to win one of the three $25 gift cards to the Joy Clair Shop. We have an awesome giveaway! 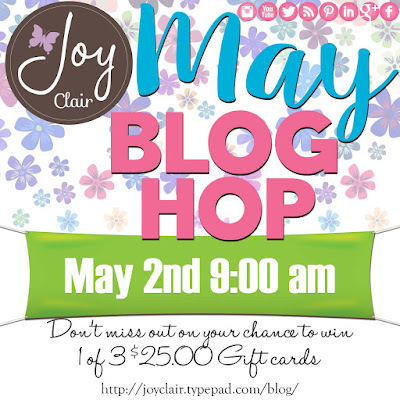 Enter for a chance to win 1 of 3 gift cards of $25 dollars each one from the Joy Clair Store! You have until Wednesday, May 4th at midnight (ET) to enter. The winners will be announced here on Joy Clair. Are you excited and want to buy all four sets of May's Release? Buy it today! Receive a 15% of Discount and all SVG Files for these. Order your Bundle today! You must leave a comment on all blogs (including company blog) for a chance to win 1 of 3 Gift Cards! Such cute cards, both of them! Adorable, love the vellum overlay, it adds such softness!